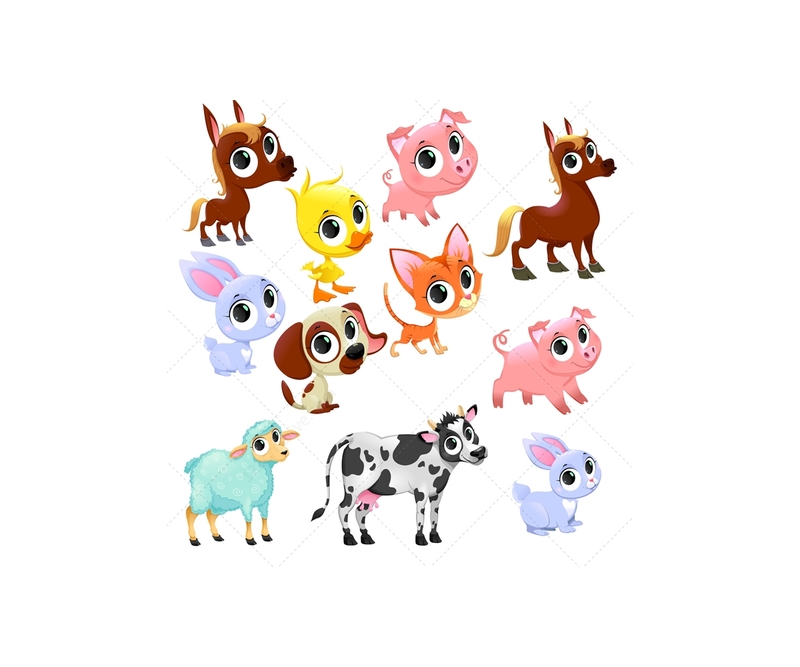 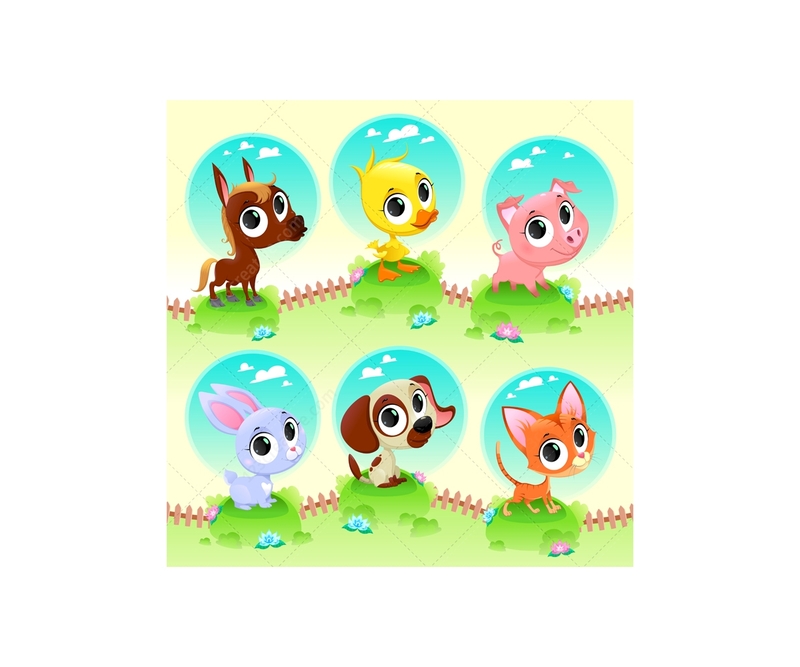 Cute farm animal vector set - farm baby animals -.young farm animals, cartoon animal vector illustrations: cow, sheep, pig, rabbit, dog, horse, chicken, domestic cat, foal. 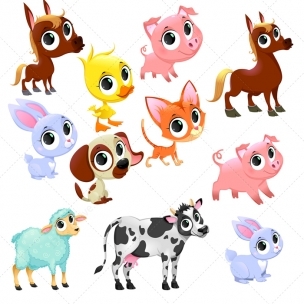 Cute farm animal vector set - farm baby animals -.young farm animals, cartoon animal vector illustrations: cow, sheep, pig, rabbit, dog, horse, chicken, domestic cat, foal. 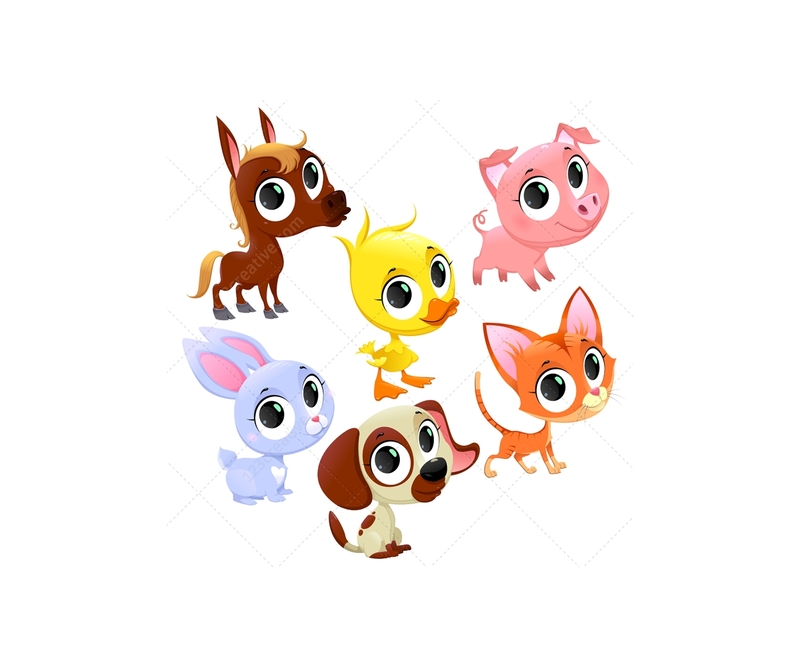 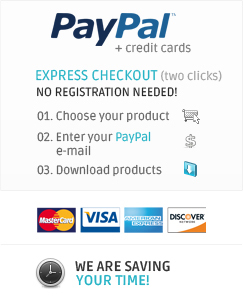 You can easy change colors of image. 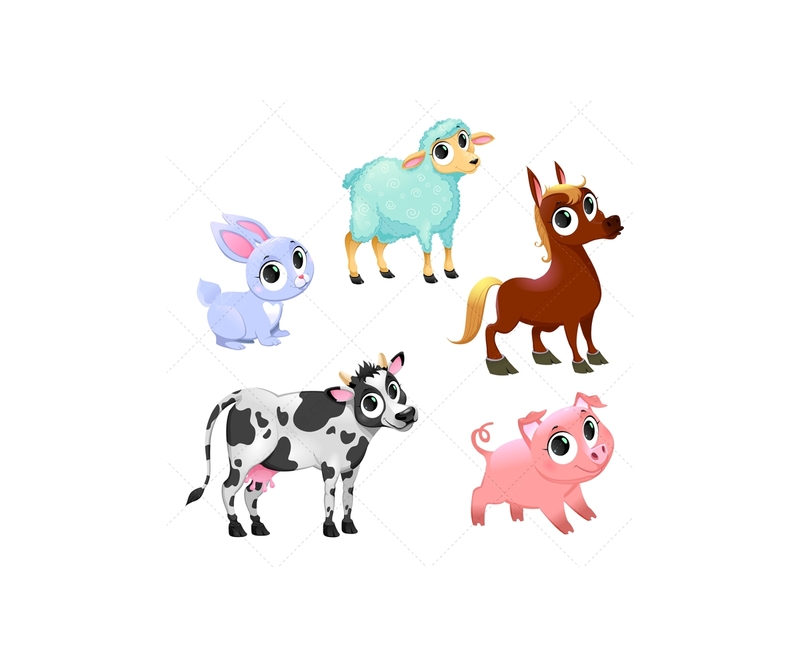 All elements are isolated from background (3 vector files).